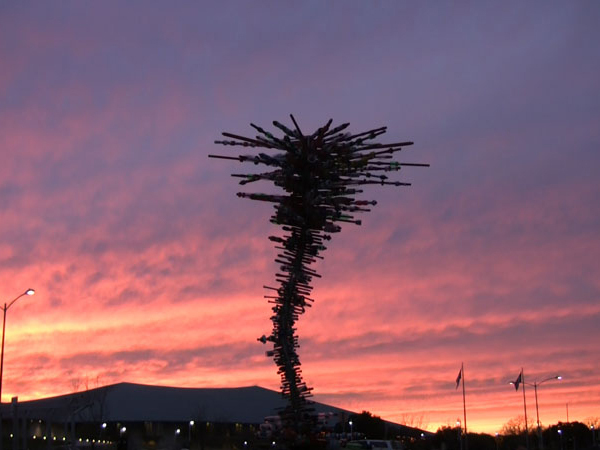 The City of Austin and Keep Austin Beautiful partnered up to present a new creation by Austin artist George Sabra, Plastic Storm Sculpture. 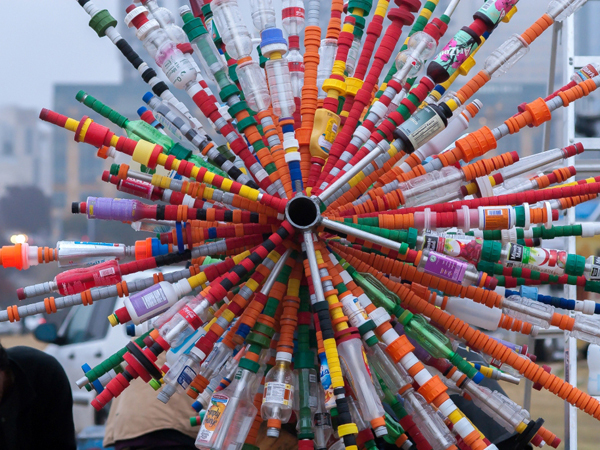 The sculpture is a 14′ high storm funnel made out of reclaimed plastic bottles, cups, jars, and caps which represents the massive “storm” of plastic waste humans generate on a daily basis. The work was unveiled on December 31st 2012 as part of the Austin’s New Year event on Auditorium Shores. The project intended to raise worldwide awareness among citizens regarding the waste and hazards of the use of plastic and the damage it does to the environment. Much of this damage is caused from the fact that many types of plastics are unable to be recycled and therefore wind up in landfills and oceans where they don’t biodegrade. By creating something beautiful out of plastic bottles, Sabra hoped to inspire people to think about the amount of plastic waste they generate and make a resolution to reduce and reuse more in 2013 and beyond.